Gung Hay Fat Choy! Tomorrow is the first day of Chinese New Year! 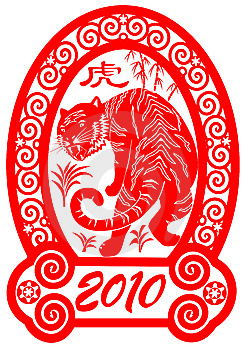 This is the year of the Tiger. Happy New year! We’ll always have a connection in our hearts to China. They (the adoption program) dumped us, not the other way around, and we’ll always hold a special place in our hearts for China and children adopted from China. Not too long ago we were walking in to a store and we saw a Caucasian woman walking out with two Asian daughters. Me: Did you see them? Me: How long do you think it will be before we see them and, you know, not feel sad. CSP: Never. We’ll always miss China. This might not make sense to people who haven’t adopted, but when you make the decision to adopt you go in whole heart, usually after lots and lots of thought, soul searching and research. So of course it leaves a imprint of your heart when it’s over. We miss it. We miss what we’re missing out on. You know that saying “You don’t miss what you never had”? Not always true. So we still celebrate Chinese New Year. Gung Hay Fat Choy!